Winnipeg/Chilliwack – Take a walk in the woods with visionary scientist and acclaimed author, Diana Beresford-Kroeger, as she reveals our profound human connection to the ancient & sacred northern forests and the irreplaceable role that they play in sustaining our health. Call of the Forest, which has sold out theatres across the country, will be launching in Chilliwack from June 23-29 at the Cottonwood 4 Cinemas (see below for details). Call of the Forest – Theatrical Trailer from Treespeak Films on Vimeo. The film was produced by Merit Motion Pictures and Edgeland Films with the participation of Canada Media Fund, Rogers Documentary Fund, Manitoba Film and Music, Tree Canada, Rogers Telefund, The Canadian Film or Video Production Tax Credit and the province of Manitoba. 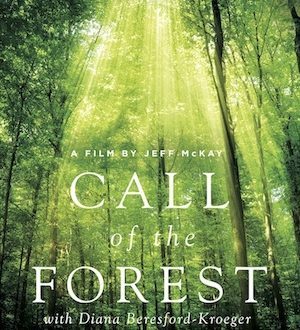 Be the first to comment on "Call Of The Forest: The Forgotten Wisdom of Trees – Chilliwack Theatrical Release June 23 – 29"